I am a huge fan of productivity hacks and software – who doesn’t want to work better, faster or smarter? Over the next few weeks, I am going to introduce you to some of the tools I use to improve my workflow. I have tried quiet a few different time management apps over the years and these are the winners, for me. Today, I will give you a run-down of the two main tools I use to measure and manage my time. As someone self-employed, time management can be one of the most difficult aspects of business to control. I am all things to my clients and I want to provide the best possible service, but the fact of the matter is that my real work is done when I am not on the phone, answering emails or making connections on social media. Yet, that busy work can take up most of my day, if I let it. I am sure it is the same situation for everyone. At the end of the week, you feel like you have put in a monumental amount of work but have not gotten through your the most pressing items on your to do list. Our minds have a severely unrealistic optimism bias when it comes to estimating the amount of time we spend on unproductive tasks. My bet is that you do not realise how much time you spend on social media or emails – two of our greatest time drains. The best way I have found to measure this is by installing Rescue Time on all of my devices. This software monitors and reports your internet usage, so there is no hiding from the truth. 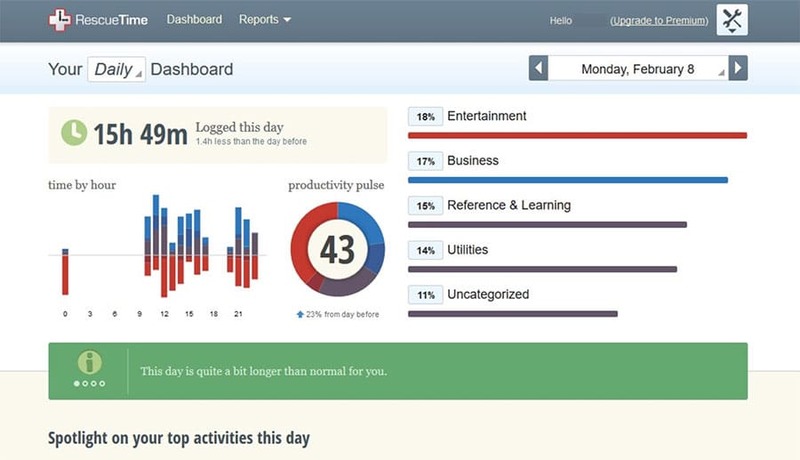 Install and run it for a week to see where you really spend your time. You will need to do some manual re-categorisation for the first while, until Rescue Time understands how to classify all of the websites you visit correctly. This tool alone is responsible for me cutting down my “I’ll just check Facebook for 5 minutes” habit, that always ballooned into a half hour lost to mindless scrolling. Because the Rescue Time app is also installed on my phone, my results are very telling. Yes, there is a distinct whiff of Big Brother about this level of time tracking, but that is a judgement call you have to make – continue to hide from your habits or measure and learn from them. 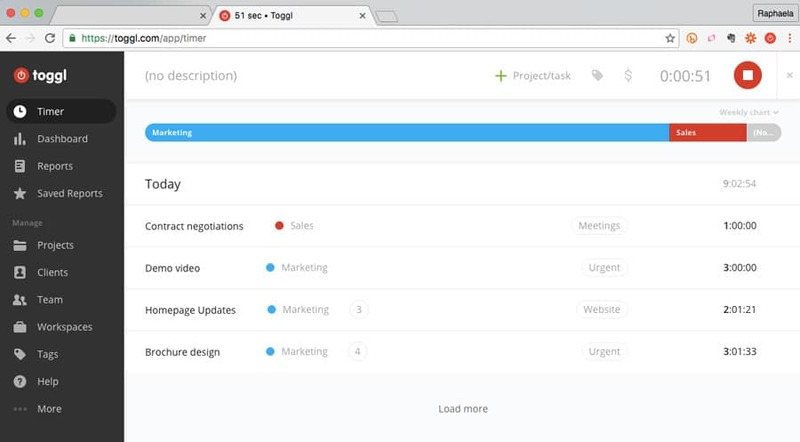 Toggl is a completely free time tracking app. This app is not as passive as Rescue Time, but it allows you to track the time you spend actively on client/business work in a more granular way. I used to think that I worked 10 – 16 hour days but, after installing Toggl and tracking the time I actually spent on projects, I realised that I only spent about 5 hours a day on actual trackable, billable work. Since that realisation, I have been using the Toggl app, to ensure that the time I put aside for work every day counts. Emails get a half hour in the morning, another half hour around lunch and one last half hour in the evening. Outside of that, I am working. Some days, I track better than others, but the difference is that, when I have had a bad day or two, I now have the tools to pull myself back into shape by tracking rigorously. There is something about having to clock on and clock off with your timer that stops you from just popping over to Twitter for a little wander. Do not procrastinate on this. Even if you feel like you are an incredibly productive person, I would recommend tracking your time for at least a week. The results are a real eye opener. Both of these tools are free and exceptionally easy to get started with. If you have any time management tips or apps that work for you, let me know in the comments.